Few things demonstrate the deliberate bad faith of conservative arguments for tort reform more than their support of damage caps in medical malpractice suits. Their claim is that caps reduce “frivolous lawsuits,” but of course they do nothing of the sort. Almost by definition, frivolous lawsuits are those filed for small dollar claims in hopes that insurance companies will figure it’s cheaper to settle than to fight. Big dollar lawsuits that exceed damage caps are the exclusive domain of serious injury — the precise opposite of frivolous. Distraught, the Culls sought answers from their daughter’s doctors….When they demanded answers from hospital officials, the Culls said, they were told to review the records and, if they found a problem, to contact a lawyer…..As they sifted through records, they wondered how others in similar situations made sense of it all. “It’s confusing,” Joy Cull said…To get more information, the Culls decided to sue the hospital. But like others, they had trouble finding a lawyer willing to take the case. Given the state cap on damages, they said, many lawyers did not consider their case worth pursuing. ….In July 2009, weeks after first seeking counsel, the Culls filed a wrongful death lawsuit after lawyer Jin Lew at Los Angeles-based Michels & Watkins agreed to take the case pro bono….The lawyers found that Olivia’s medical records were incomplete, the Culls said, and filed more requests until the hospital supplied hundreds of additional pages. In addition to the lawsuit, the Culls filed a complaint with Los Angeles County health officials that triggered an investigation by the state Department of Public Health. In February, state investigators reported that a postdoctoral fellow who treated Olivia removed her catheters without a doctor’s supervision. Investigators also found that a second fellow who treated Olivia had not been cleared to treat patients. Imagine that. The records were incomplete until a lawyer forced the hospital to cough up the whole file. A pro bono lawyer, because a case with maximum damages of $250,000 simply isn’t worth the number of hours it takes to pursue it. 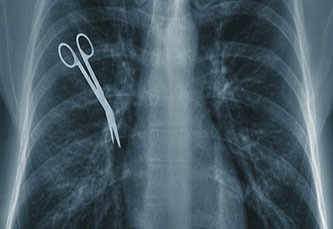 Medical malpractice cases are complex and expensive. Hospitals won’t voluntarily admit to mistakes, and they won’t voluntarily make their full records available unless they’re forced to. They’ll especially not do this if they know perfectly well that damage caps make it vanishingly unlikely that they’ll have to deal with anyone but distraught family members who have no idea how to work the system. A $250,000 cap is plenty high for storefront lawyers filing frivolous lawsuits. The only things it prevents are real lawsuits over serious malpractice, like the one in the Culls’ case. In the end, they got their $250,000 settlement, which they’re using to fund scholarships in their daughter’s memory, and the hospital agreed to change its procedures. But it almost didn’t happen thanks to California’s antiquated damage cap law. POSTSCRIPT: And just to address the obvious questions: No, there’s been no explosion in medical malpractice suits over the past 20 years. Nor has there been an explosion in payouts. Nor are medical malpractice suits a major component of rising healthcare costs. Medmal reform is a good idea, but mainly to make it fairer. A reformed system that actually worked properly would cut down on frivolous lawsuits but would probably increase the number of legitimate complaints that never see the light of day under current rules. More here.